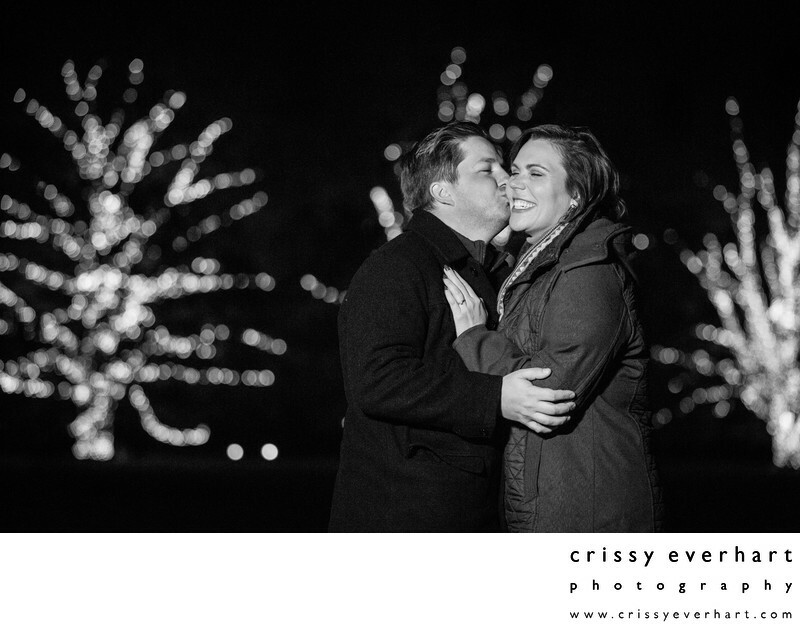 I loved photographing these engagement pics at Longwood Gardens during the Christmas display of lights! Longwood is always beautiful, but the magic of the Christmas season bursts out of every corner for the month of December. 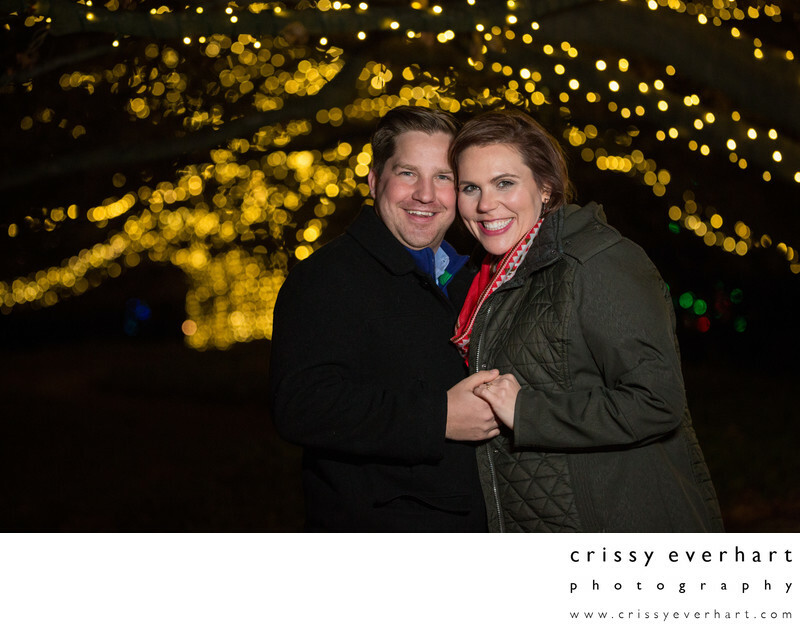 The lights are strung on the HUGE trees so they become colorful silhouettes against the night sky, and perfect for the background in a portrait of a newly engaged couple!